The first thing I love about my notebook--the tabs! This was actually a students' idea mid-year. 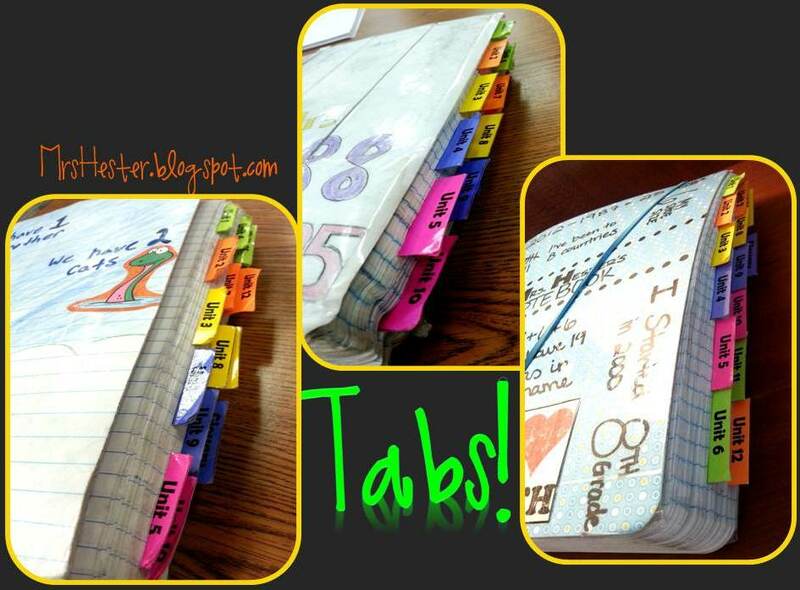 She mentioned wanting tabs for each unit and other students immediately latched on to the idea. I made a quick table in word, printed on colored cardstock, laminated, and by the next class period we were adding tabs! The students LOVED them! And I do too!! Definitely keeping this idea next year. The second thing I love about my notebook--the glossary! We constructed a 143-word glossary/index as part of our EOC review. While some students moaned and groaned during the progress, many commented in their end-of-year survey how helpful it will be in the future. I created my own version of a Frayer model to include a space for page numbers. 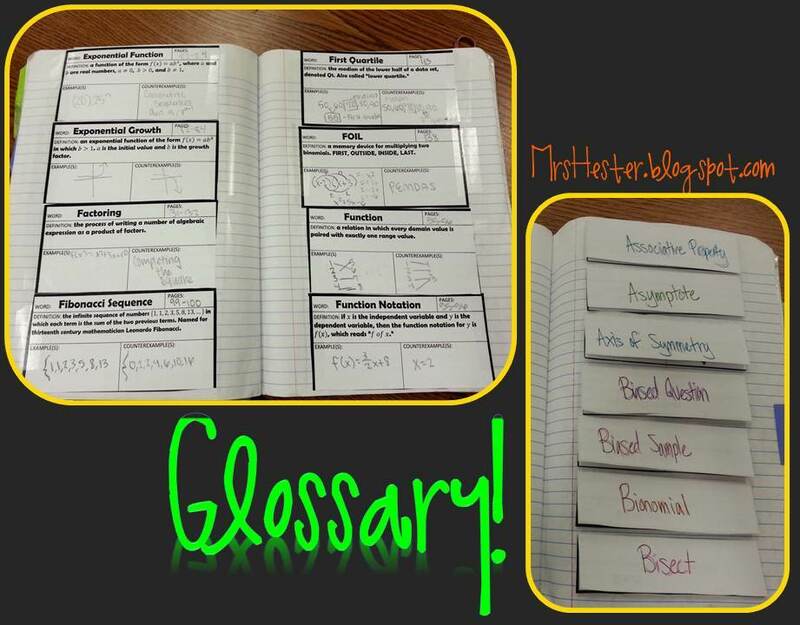 I provided students with the vocabulary words and definitions. I wanted to make sure they had an accurate definition and was more concerned that they could create an example and counterexample for each term. That would tell me much more about their understanding than copying a definition from a book or the internet. They also had a place to record the page number(s) that dealt with that topic in their notebook. While I will probably tweak a couple thing about the glossary/index for next year, overall I love it! As you can see, different students set up their pages differently. Works for me! As long as it's something that doesn't have to be a certain way, I tell my students "do what makes you happy!" They enjoy the freedom and choice in areas like this! 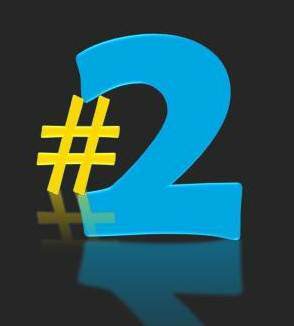 Alright...we'll 2 is enough for today :) Check back soon for #3-5. 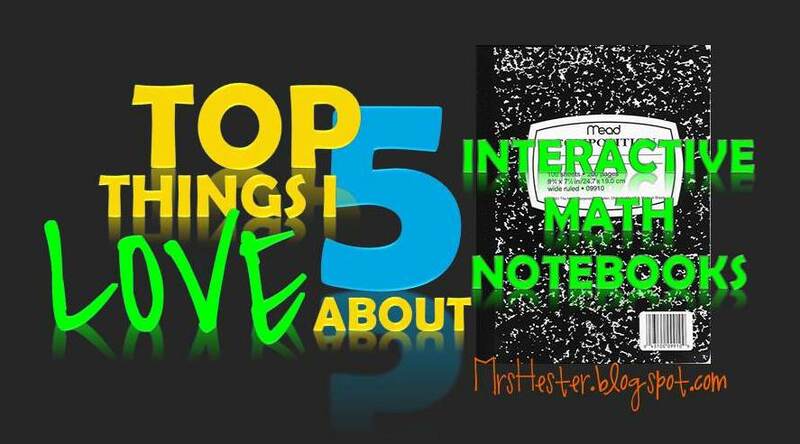 If you use Interactive Notebooks, what are some things you absolutely love? Please leave a comment, I'd love to hear about them! Love seeing the tabs. This is my first year with Interactive notebooks and I love them. I wanted to get my students opinion about it so I had them complete a survey I created on google. Several of my students suggested tabs. Were the tabs taped on the page? Did they hold up well? Hey Melissa! Yeah, they are taped to the pages. They actually held up really well! They are made of cardstock and we put them on around Winter Break so that probably helped. The pictures are from the last week of May so that gives you an idea. I shared the template with a coworker and she modified them to fold in half and be double sided. While I didn't see hers later in the year, I imagine they may have held up even better with the added stability and thickness. Can you put in a link with template? Hi there, I came upon your blog post about ISns via Pinterest. Even though I teach Language Arts, it was so helpful to see what you have done with the ISN in your class this year. I'm planning to implement the ISN next year. If you have any more tips, please post them!! By the way, I LOVE the first homework assignment idea! Welcome, Creative in Middle School! Glad you're here! Stay tuned, more ideas coming soon. Great blog post! I'm thinking of starting to use interactive notebooks next year and your blog is proving super helpful! I particularly like the vocab template that you made. Is it possible to get a copy of it? What fabulous tabs! My students all started loving my tabs as well (Avery Stick on Tabs) and I brought in my Tab Punch so they could come in an create them on their own. Great tools for organization! What is a Tab Punch? What type of Tabs did you and your students use? Do you have your frayed model type foldable you used for your glossary some where to purchase? I love how the word is typed for the students, how the reference for the page number is there and when you fold it up, you can still see the word! I love the glossary idea. I am wondering, though, if students ever have to move entries to get them in ABC order or if you planned that out ahead of time. I teach 6-8 graders and am thinking that they might need some structure. 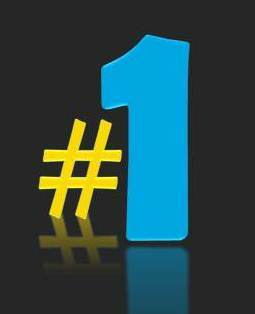 Also, do you have a digital template for the entries you are willing to share? Ok. I read it again and now understand that you did the glossary all at one time, so they were able to place words in abc order. I was thinking of having them create the glossary as we go throughout the year. How many pages did you devote to the glossary? wow, impressive. I use tabs too and they rock, but mine are cut up index cards, very cheesy. It was a quick fix. off to read about 3-5! Thanks for sharing this template so generously! Wow! Awesome post - I love that you have the frayer model in small boxes rather than using a full page. I was using a full page for it before and found it was a lot of paper. I also love that you gave them the definition. I too love the tabs. I used sticky notes and they didn't hold up nearly as well as card stock. Thanks for the free template - I will definitely use it! How did you create your glossary template? I teach 5th grade and I attempted an interactive notebook. I used a lot of ideas from Pinterest, but I love your glossary. Thanks for the template. I plan on doing a Professional Development Unit on ISNs for our intermediate teachers next year. I'm going to share this. Thank you. I'm a high school gifted math teacher and have been teaching 22+ years. I'm always on the lookout for new ideas and have been recently studying the various INB methods published. I really like what you've done. I am looking forward to using the INB this year with my students. Thank you for sharing! 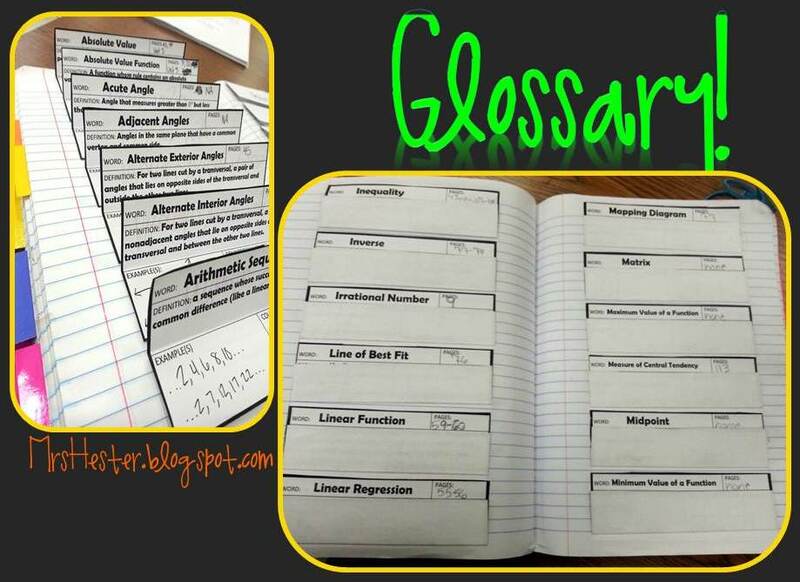 How did you actually get the glossaries into the notebooks? Did you take a couple of days in class to have students create them? If so, how long did it take? And is that all you did during class? Would you want to move this activity into the beginning of the school year in the future? I really love this idea to use a glossary. Are you sharing the template on line? Is it available for download for editing? Thank you for posting your ideas. Do you still offer the glossary template? The link doesn't work. I really want to add this to my interactive notebook! Thanks!